your Onlineshop for art prints, grafics, originals, digital prints, sculptures and etchings! 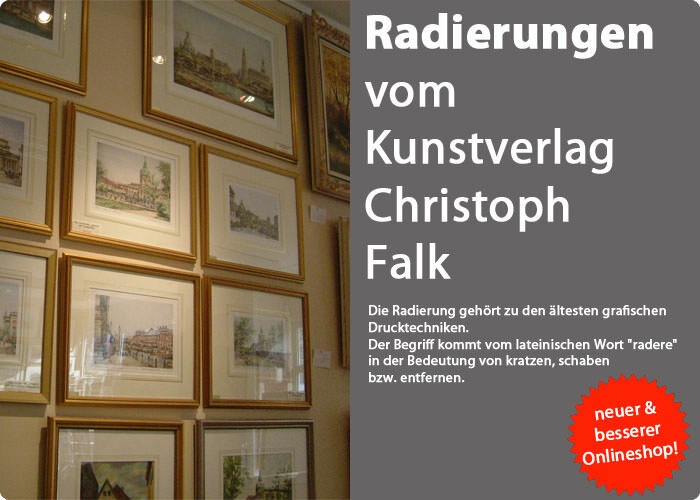 Beside our retail shop in Berlin the Kunstverlag Christoph Falk runs successful online-shops to provide our products to costumers outside of Berlin. With over 15.000 items you can find a hughe choice of art prints, grafics and everything an art enthusiast demands. Here we can provide you a individuel and personal consultance for your art acquisition. Our etchings definition in German! Our etchings definition in English! Our etchings definition in Chinese!